Looking for the perfect homestead land? Come take a peak at this lovely ranch style home located on 7.5 usable acres mol .....Open concept home featuring 4 bed, 2 full bath, snazzy kitchen, spacious living room, 18 X 21 shop building, fenced back yard. This property offers open pasture/completely fenced, separate fenced area for pets, loafing sheds, feed shed, pond & much more! Byng School district---right off black top road! 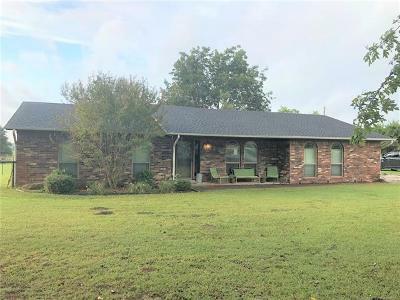 Minutes from Ada, off Lovelady Road!